The view of the harbour from the lounge window is stunning. 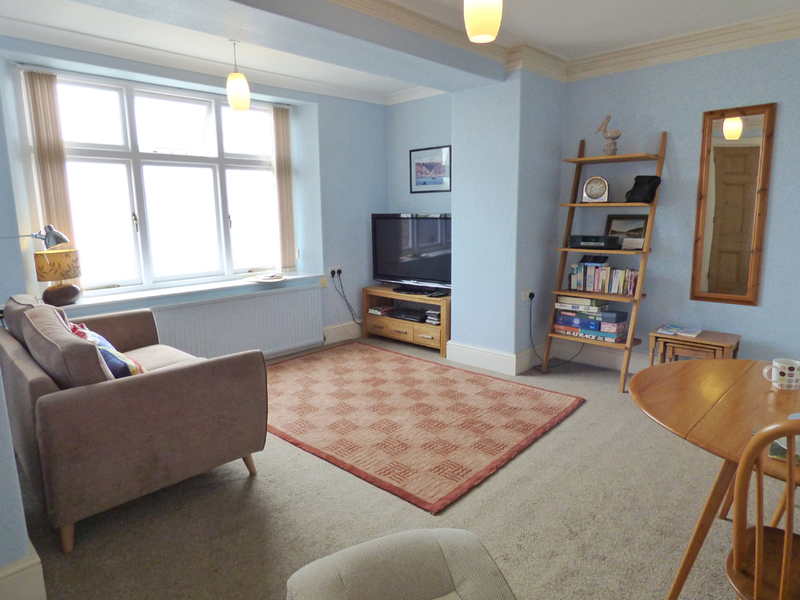 This ground floor apartment adjoining the owners house is spacious and comfortable. 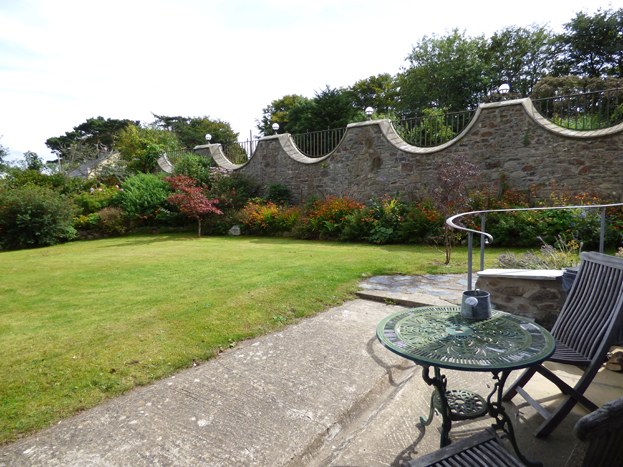 It has its own secluded, walled garden to the side of the property - a veritable sun trap for lazy lunches. 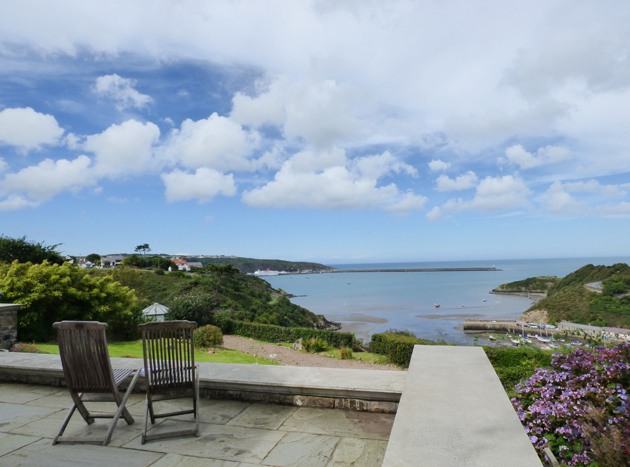 It is convenient for all that Fishguard has to offer including shops, restaurants, pubs and the famous Coastal Path - all within a short walk. 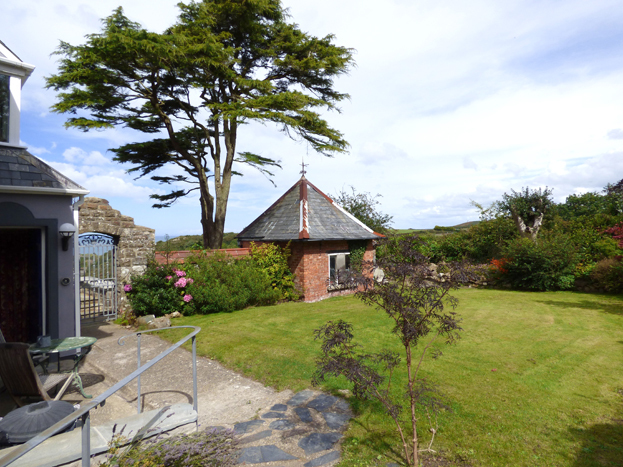 A short drive will take you to many of north Pembrokeshire's sandy beaches and a little further afield you will find the tiny city of St Davids with its famous Cathedral. Little Pentower is a lovely spot for any time of year. Ground Floor: Entrance hall, lounge/diner, kitchen, utility area, bedroom/super king size bed, bathroom/overhead shower/whb/wc. 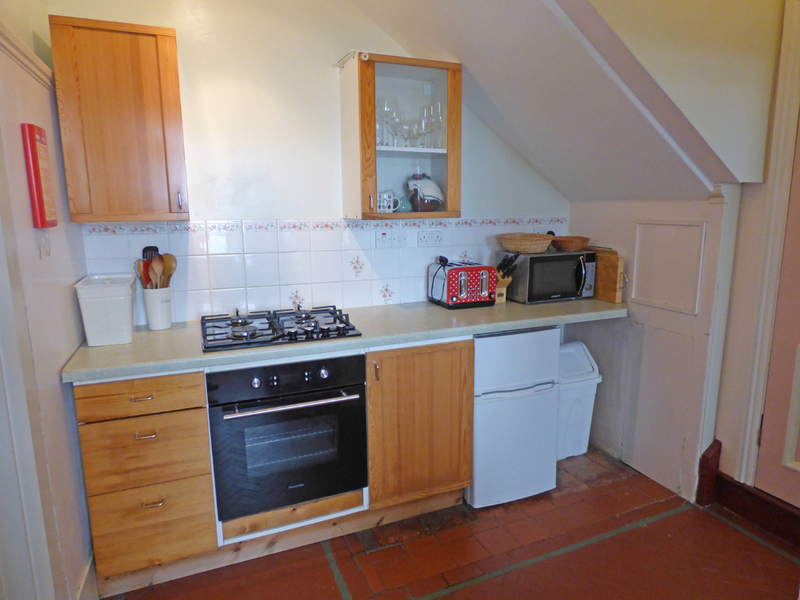 Facilities: Gas hob, electric oven, microwave, fridge, washing machine, TV, DVD player, radio/CD player, clock radio, WiFi, garden furniture. Dear Mary, Tony & Satchmo. Thank you for yet another wonderful week in Little Pentower with quite exceptional weather. Almost wall to wall sunshine apart from evenings (fog) & last day which was more than made up for with over 48 lambs and 50 seals at cavernas head poppit sands! It really has become a 2nd home for us now & we were graced with no less than 20 visits from Sachmo daily. A lovely restful week in this special place! Thank you so much! Also delicious Birthday Dinner. Wonderful views. 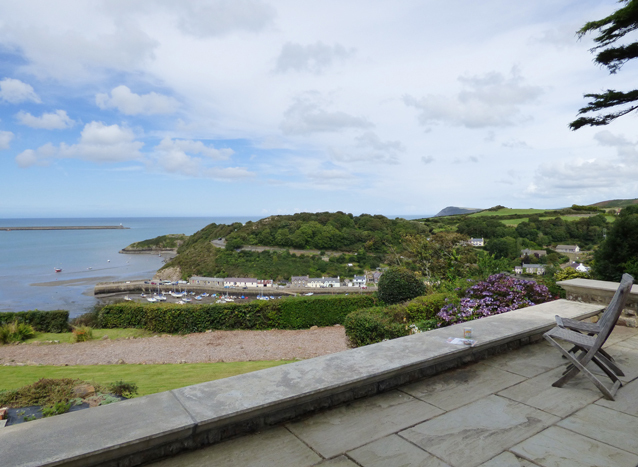 Explored a lot of Pembrokeshire - Castles, Beaches, History, Had wonderful lunch and wine tasting at Cwm Deri Vineyard. Wonderful stay - lots of Puffins on the water. Thank you for everything. Delightful time, but until Thursday rather chilly and windy nonetheless a splendid week. Able to get out on golf course and beach each day and Thursday sit outside (heavily wrapped up) as always cosy and comfortable. Thanks once again Tony & Mary for a wonderful stay. Lots of good walks and good food. Little Pentower as comfortable as ever. Satchmo has been his normal charming self. He is such a good boy and not a scrounger like our Daisy at home! We hope Madrid was not too hot and hope to see you again soon. This was our first visit to Pembrokeshire and what a wonderful place to start! Such a warm welcome from Mary & Tony and what a well appointed comfortable apartment Little Penthouse is. The views from the lounge are magnificent! 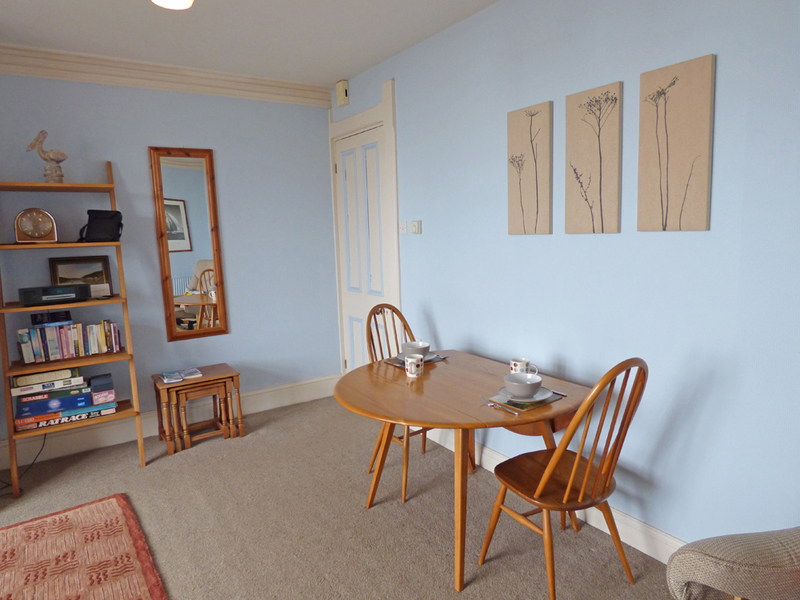 We have enjoyed lovely coastal walks, good food and met friendly people wherever we have been. The weather was perfect which makes us sad to leave but we will come back again. A lovely few days staying at Little Pentower. It is a great place for which to explore the area & follow the coast paths. 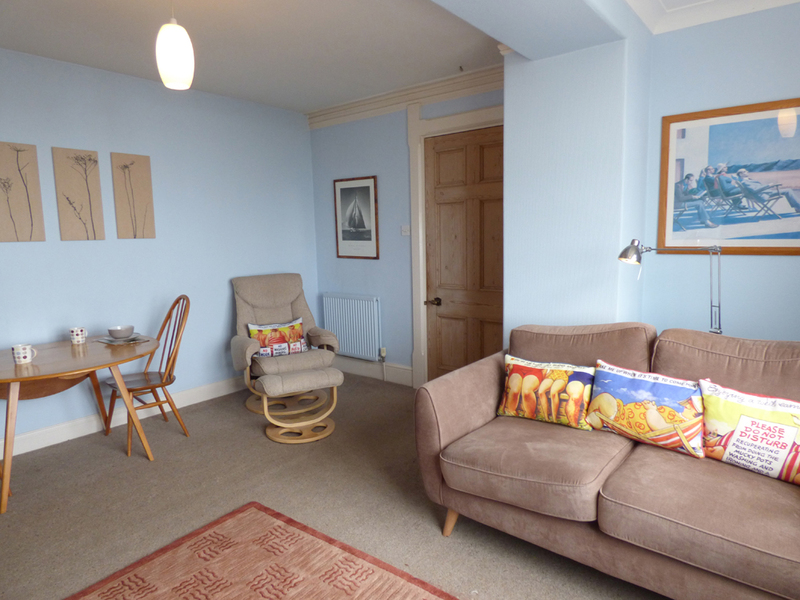 Fabulous views from here and a very comfortable & roomy flat. Maisie our dog felt right at home! Lovely sunny days. Thank you Mary & Tony, you have been so very friendly and welcoming. We had a lovely week at this beautiful place. WE could never get bored of the wonderful view especially since the weather was consistently good! 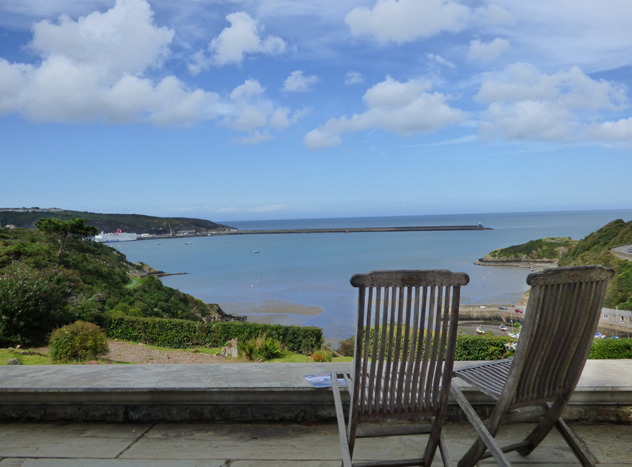 Plenty to do in the surrounding area including Fishguard, Goodwick, Haverfordwest and Newport. Quiet little pubs and great views. Thank you very much Mary & Tony for being very kind. Thank you for a special week at Little Pentower. Must be the best s/c view in Britain! It enabled us to spend a lot of quality time with our Grand Children up the road with our "hand them back at bed time" base here! The weather got sunnier as the week went by and the Porthgain walk is very rewarding. Thank you Mary and Tony for your kindness and for your welcome in what has been an action packed and special week for us. 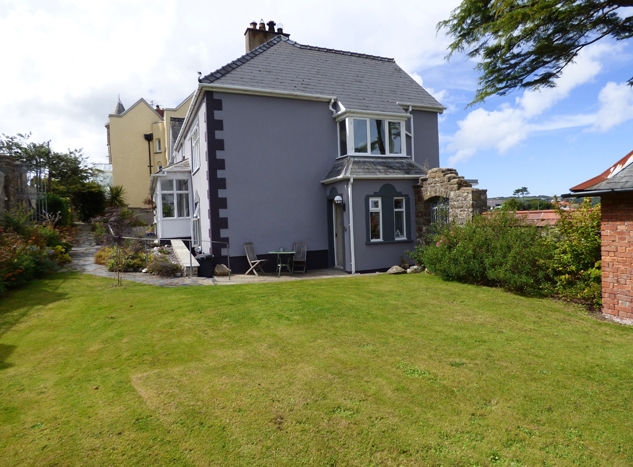 It was our first visit to Pembrokeshire & we had chosen well to stay at Little Pentower in Fishguard. We received a very warm welcome from Mary & Tony who gave us lots of helpful information about the area. 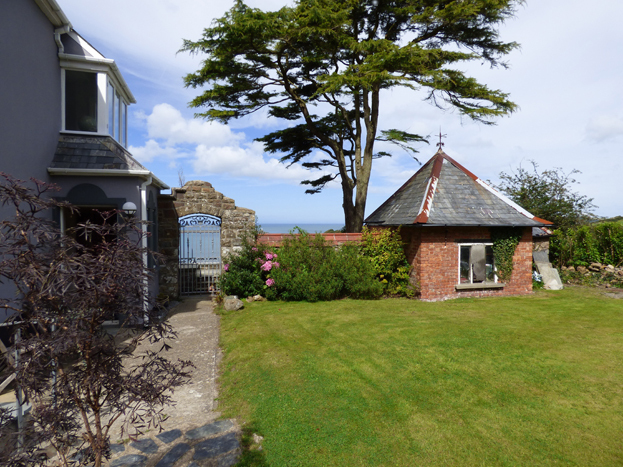 Little Pentower is a gem, the view from the lounge over the bay is stunning having views of Lower Fishguard harbour and Dinas Head. 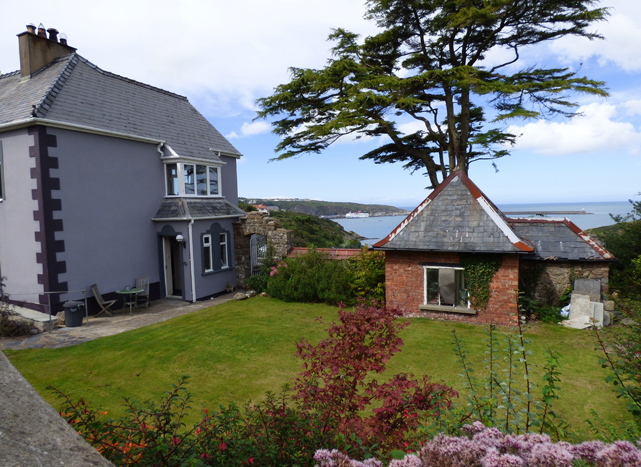 The whole property is well appointed and equipped with the extra delight of being able to sit out on your private terrace overlooking that stunning sea view. We had such a good time we will be returning very shortly I'm sure. Another enjoyable week. So enjoyable just sitting looking at the sea and the Sky. The shed at Porthgain - Great fish and chips. Feeding red kites at Blwch Nant. Great Spectacle Made it to Strumble Head this year - Very Windy. Mary and Tony are so friendly and hospitable. After just 4 days, this flat has become a home from home for my daughter and I. It was great to experience the welsh sunshine, the beautiful beaches, the incomparable coastline and the marvellous hospitality of Mary. Thank you so much! I keep coming back, 3rd year in Little Pentower so something must be right. Actually everything is perfect! The view of course, is great, even if just occasionally the outside id frightful, inside it's quite delightful. If you haven't yetdiscovered that Tony and Mary are great hosts then you soon will. If looking for a pub with food I'd recommend 'The Pendre', fork left at the cannon and it's up the hill on the right, just before the petrol station. Usually full of locals, but not a all hostile to visitors. Very warm welcome from Tony and Mary. Very nice and comfortable acommodation with beautiuful views. Unfortunately a very short stay, will have to have a longer one in the future. One of nicest places we have stayed in this area. Thanks for everything. Great location, lovely view. A good sized and comfortable living accomodation. Kept very warm. Amenities were fine. Friendly owners. We have really enjoyed spending Easter at Little Pentower and leave feeling refreshed!The weather was sunny most days, but wth a cold wind. However this was ideal for walking the beautiful coastal path which is how we spent our days. We mainly cooked for ourselves but had a good meal at 'The Pendre' and can also recommend fish and chips from Goodwick. We found a lovely cafe at Newport, 'Morawelon' on the waterfront with fantastic views and excellent Coffee! Thanks to our hosts for such a warm and comfortable stay. The view was mesmerizing, the best we have had anywhere, and we enjoyed watching the everchanging scene. Very memorable! We found everything we needed for our stay and founf the internet access very useful. We hope to come again! A very relaxing weekend here at Little Pentower. Super walks. We saw seals near Strumble Head. We did have a couple of wonderful lunches at 'The Bishops' in St Davids. Little Pentower was much appreciated as was the warm welcome and what can we say about that view? Your Trump card! Hope to be back soon. We have had a lovely holiday. Weather very mixed, but have been able to get out and about. The view is just grand from Little Pentower which we found very cosy. Thank you Mary for the card, sorry we missed you! We have had the most wonderful week. This was just what we needed. Thank you so much for your hospitality and kindness. Little Pentower is cosy and has everything needed for a lovely stay. Thank you for the tulips Mary and a mention has to be made about the wonderful view! We didn't watch the DVD's we brought as we were mesmorised by the view! Thank you for such lovely time and for your hospitality and kindness. A good place to rest and refresh and to explore the countryside and coastline very worthwhile, just what we needed we would deffinately come again. Thank you so much for a fantastic few days to begin our honeymoon! Your kind and thoughtful hospitality was greatly appreciated. We had an excellent meal at Bar Five and a good pub meal at the Royal Oak in Newport - the only place that seemed to be open on a Sunday evening in January! The Taj Mahal in Fishguard was also friendly and tasty. We look forward to coming back and exploring more of this glorious area. Thanks again for a wonderful time. I've been so fortunate with the weather this last few days, and as always; equally fortunate in having such a splendid place to come to: comfort, convenience, veiws and solicitous hosts. Very many thanks. Thankyou for a warm welcome to a lovely base for a relaxing holiday. Wonderful veiws. Excellentweather for the time of year topped it all off. Cant believe it is four years since our last visit to Little Pentower. It seems just like putting on a familiar pair of shoes - totally relaxing and restful. The view is still as spectacular, and the welcome of the owners just as warm. 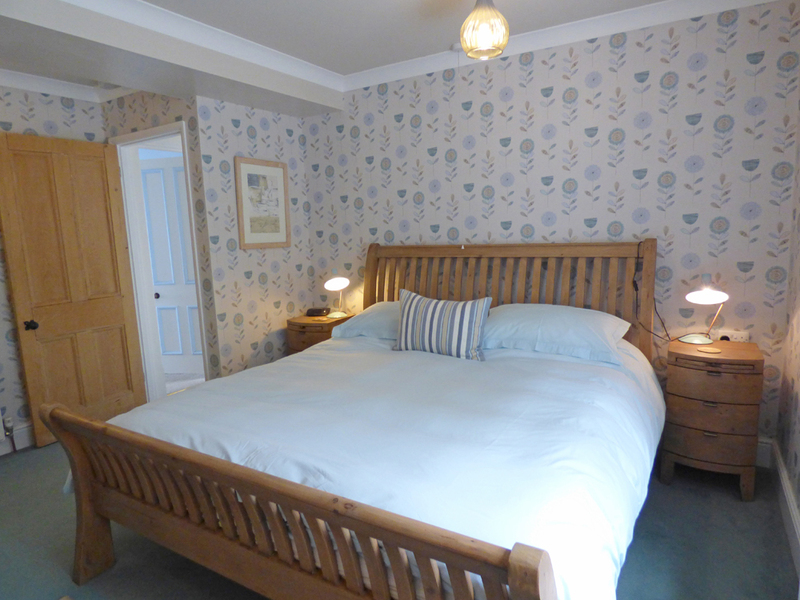 Really relaxing stay again in this lovley place and ideal for family visits and getting around to the sights. The view from the here is so relaxing and constantly changing. Hope to see you again at the end of the year. Thanks again. Another lovely week, peaceful and quiet with a lovely view. Thank you to Mary for such a lovley welcome. We will be back next year to have another levley week. Wonderful relaxing weekend! Shame it wasn't longer - next time! We have enjoyed our week tremendously. Superb weather and this lovely apartment have made it great. We managed the Strumble Head Walk and the St David's Walk, we recommend both - not too difficult & scenery remarkably beautiful. Thank you for making us so welcome, we hope to return. We had a really wonderful time at Little Pentower. Enjoyed many walks on the coastal path. Pembrokeshire is a magical place and the wildlife is amazing. The view from the flat, so peaceful and restful. 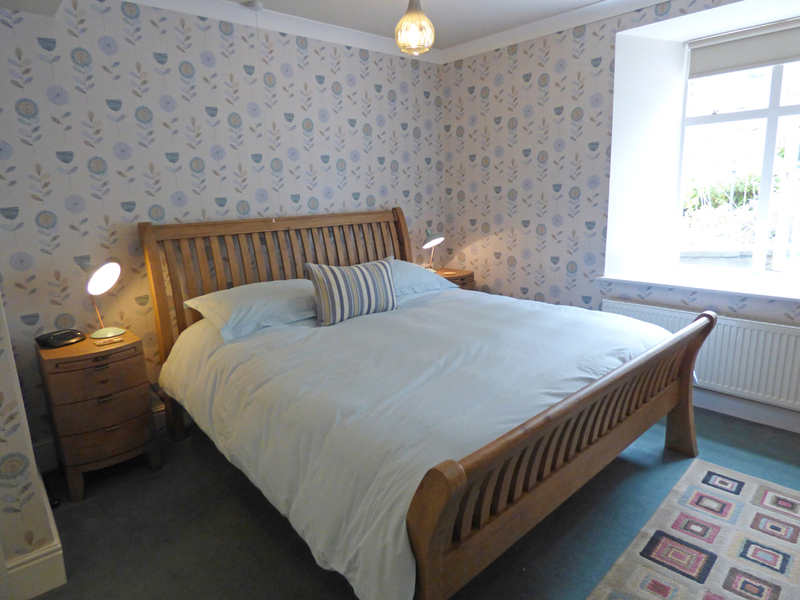 Once again we had a very comfortable stay, the shower and the new bed being the icing on the cake! The weather has been marvellous so we have seen Pembrokeshire at its best. We both sincerely thank you for an enjoyable and hospitable stay. 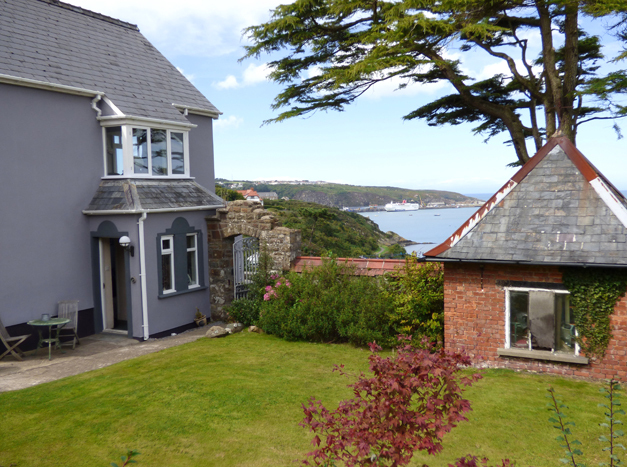 The position of the house and views over the harbour are superb. An ideal place to relax and chill out. There is private car parking on the drive of the main house. A vehicle can be parked at the tip of the steps leading to the house for loading/unloading. Access to Little Pentower is via 3 wide/steep concrete steps with a metal handrail to the left when descending. It is possible to use a sloping path as an alternative route, but this involves a greater walking distance. There is a further gently sloping path with one very shallow step leading to the front door of the property, with a handrail running for the full length. 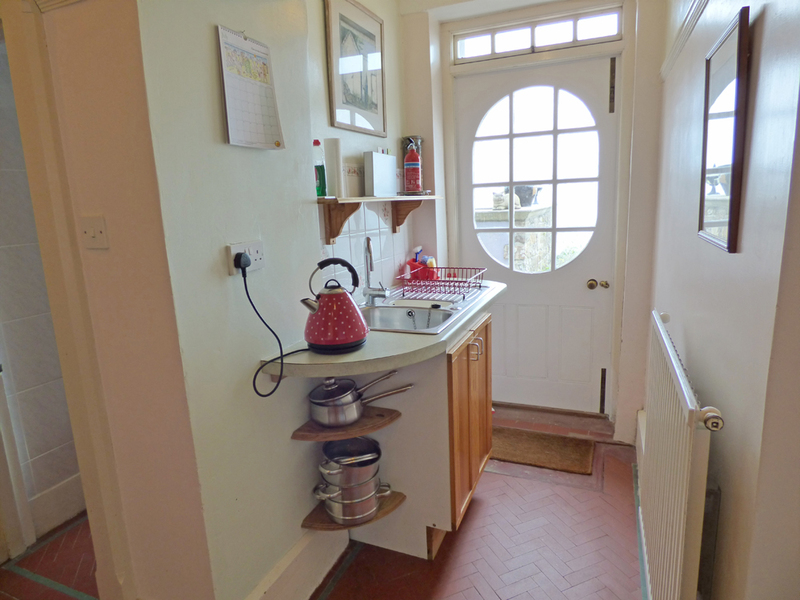 Access to the garden is level and there is a terrace which can be accessed from the kitchen door which has one shallow step. The flat is all on one level with no steps. There is restricted turning spaces, particularly in the small entrance lobby. 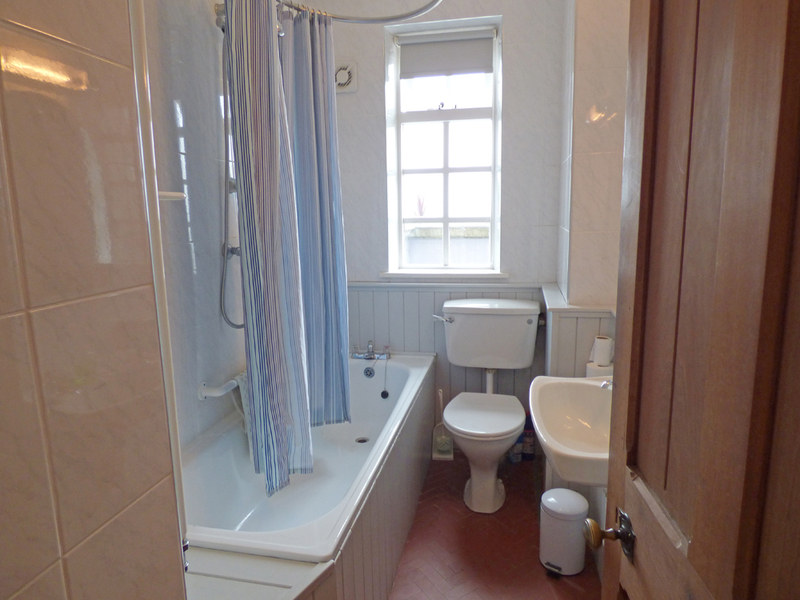 The bathroom is narrow, with the WC positioned next to the bath. There is a shower over the bath and one long/curved grab rail to assist when transferring in/out. Access to the bathroom from the bedroom is via the lobby, lounge and kitchen, a distance of approximately 25ft. How would you like to contact us about Little Pentower?